Person Centred Software has introduced new oral health tools as part of its electronic evidence of care and care planning system, Mobile Care Monitoring. 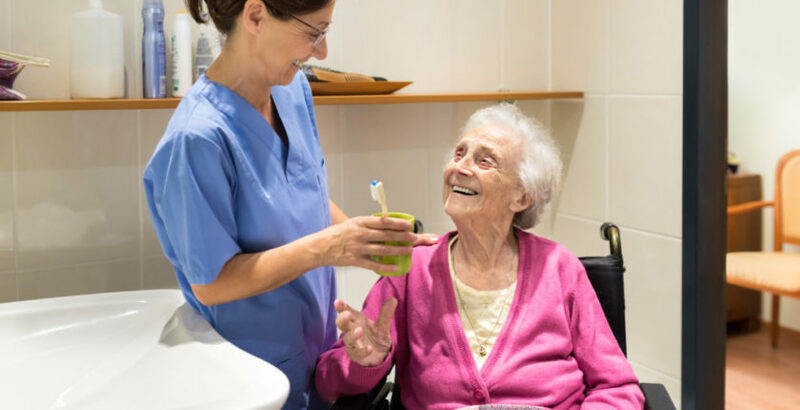 The new tools enable staff to evidence how they support residents to maintain good oral health and thus demonstrate to CQC that a care home is being Effective and Responsive. Andrew Coles, Product Manager at Person Centred Software, said: “People are keeping their teeth for longer and poor oral hygiene can lead to many health implications, it isn’t just about brushing teeth. With assistance from industry professionals, Mobile Care Monitoring now enables care professionals to record Oral Health Assessments, update care plans tailored to people’s needs, and capture highly detailed real-time recordings of oral care. The information feeds automatically into reports and charts, providing evidence of the oral care support to meet the NICE Quality Standards and CQC’s Key Lines of Enquiries, with which the Quality Standard Oral Care in Care Homes has recently been incorporated into to assess and identify areas in need of improvement. For more information, please join the PCS talk: ‘How Good Oral Care Improves Residents’ Health and Wellbeing’ at The Business Theatre at Health + Care Show 2018, at 11:10 on Wednesday 27 June.